In Chicago, summer seems to finally arrived. Let me say that again. FINALLY! In fact it got so hot the police shut down North Avenue Beach *insert sarcasm here. * The last couple nights have been a little hot in the sleeping department. When I woke up this morning the down comforter had been kicked onto the floor, where a fat cat had started nesting. Typical. I figured it was time for a switch-a-roo in the bedding department. Out with the down comforter, in with the summer quilt. 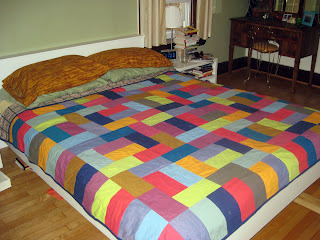 Last summer I made my first quilt. I used a pattern called the Piano Keys. I was inspired by the beautiful work of Spool Sewing. A fabric store in Philly, that I have yet to visit, but I have vowed to get there soon. They have a great blog, that is updated a couple times a week with inspiring fabrics and projects. The Piano Keys quilt was one of them, so I decided to order the pattern and fabric directly from Spool since they inspired me so. If you every think about venturing into quilting, I recommend this pattern, it great for a beginner. All the blocks are the same size, so the pieces are easy to cut and the blocks come together nicely. I started this quilt under the watchful eye of my mom, which was fun and helpful for me. This winter when I was thinking about summer and this beautiful quilt, nestled in my cedar chest, I decided it would be fun to make some pillow cases to correspond. 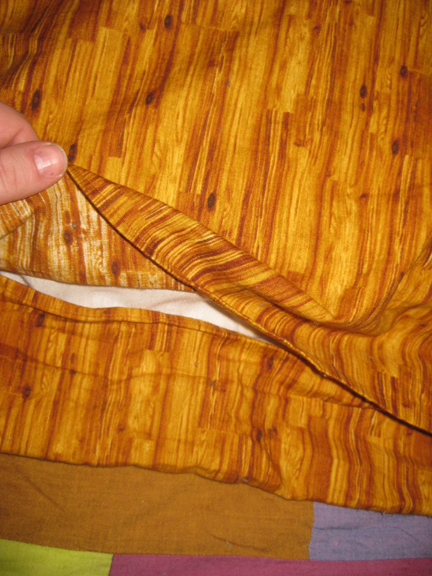 When I stumbled upon this wood grain fabric, with the same golds as my quilt, I knew what I needed to do. I used Lotta Jansdotter's book Simple Sewing to guide my pillow case dimensions, and I think they turned out totally cool. Don't you agree. 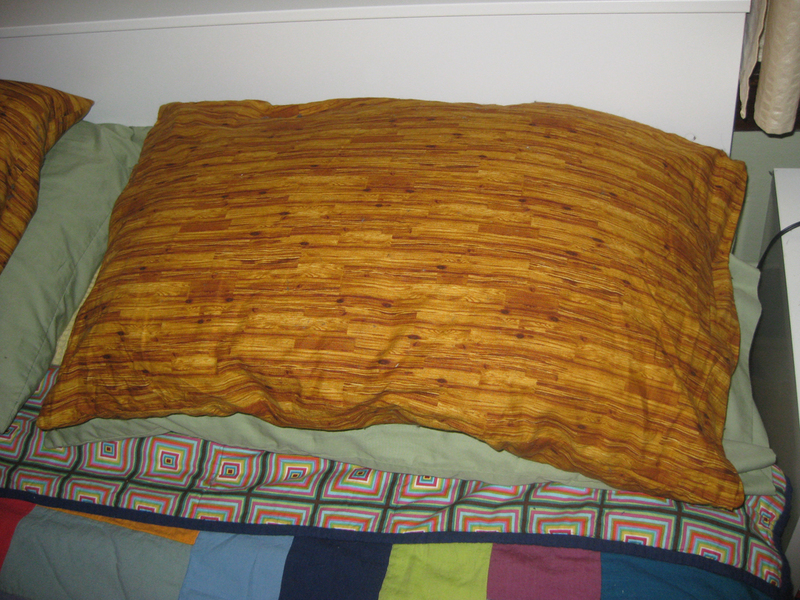 Lotta had me sew a kind of a pocket in the back for the pillow case, which I dig. I think next time I would sew the pocket towards the middle of the pillow and not the end. It doesn't seem as functional in this spot right at the end of the pillow case. cases, but that is not really my thing. So does this inspire you to change out your bedding, sew a pillow case (straight lines only, my friends! ), or perhaps take on a quilt? Maybe, maybe not, but regardless, summer is here, and change is in the air.